Many homeowners think fumigation is the only way to get rid of a termite infestation in their houses in Brea, California. However, at Kilter Termite and Pest Control, we offer an innovative alternative. Called KILGUARD, our system targets termite infestations directly without the use of foul odors, gasses, or fumes. This eliminates many of the hassles that come with fumigation. For example, you won’t have to leave your home while we treat it for termites or have to worry about the health impacts of fumes. Choosing Kilter’s system over fumigation is not only more convenient – KILGUARD is also proven effective at eliminating termite infestations and preventing them from returning. In fact, it can even be more effective than fumigation at eliminating subterranean termites, as it does not allow them to go underground while the home is tented and return after treatment is complete. We offer free inspections, so you can get an accurate report on your infestation without any obligation to use our services. We employ only highly trained technicians with the experience necessary to properly implement our termite control system. We offer a two-year warranty, so you can have peace of mind knowing termites won’t soon return to your home. 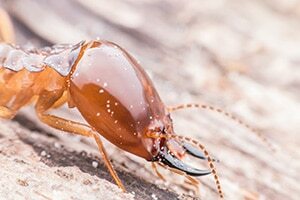 Learn more about what makes Kilter Termite and Pest Control’s service superior to fumigation. Call today to set up a free termite inspection at your home in Brea, CA.